He can be identified by his rapid delivery and intricate rhymes, a style which has become more distinct since the album ATLiens. In addition to his OutKast and Dungeon Family work, Big Boi has featured in other artists' songs. His most notable guest appearances were on the 1999 Missy Elliott hit, "All N My Grill," the Youngbloodz' "85 South," and Trick Daddy's 2001 single "In Da Wind." After four increasingly successful albums as a duo since 1991, Andr? 3000 decided to make a solo album as a side project. 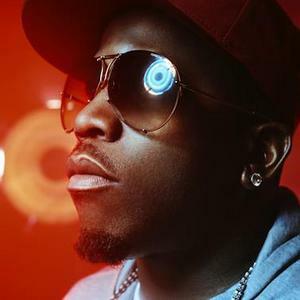 Big Boi also produced a solo effort, and the two albums were packaged together as Speakerboxxx/The Love Below in 2003. Big Boi's single from the album, The Way You Move featuring Sleepy Brown, was originally supported by urban radio then crossed over to pop charts. When "The Way You Move" supplanted Hey Ya! as the #1 song on the US pop charts, OutKast achieved the rare honor of a group replacing itself at the top of the charts. The second single from Big Boi's side of the album was Ghetto Musick, which featured Andr? 3000 and a sample from Patti LaBelle's Love, need & want you. Def Jam Records has announced "Sir Lucious Left Foot: the Son of Chico Dusty," a Big Boi solo effort will be released in the summer of 2010. His younger brother James raps under the name Lil' Brotha, and is a member of hip hop group Konkrete. Big Boi and Andr? 3000 star in "Idlewild," a film about music in the Depression-era South. It was released in August 2006.